Join Hyden Hawk Skyler, and some great new friends, on an adventurous quest, over land and sea, to find the Silver Skull of Zorellin. Fight with Mikahl, Ironspike, and fierce King Jarrek as they try to free the enslaved people of Wildermont from King Ra'Gren and his Dakaneese Overlords. Patrol the skies with Shaella, and her new black dragon, Vrot. With her father's spell books, and the Priests of Kraw, she decides to aid King Ra'Gren, while scheming to free her lover, Gerard, from the hellish Nethers. 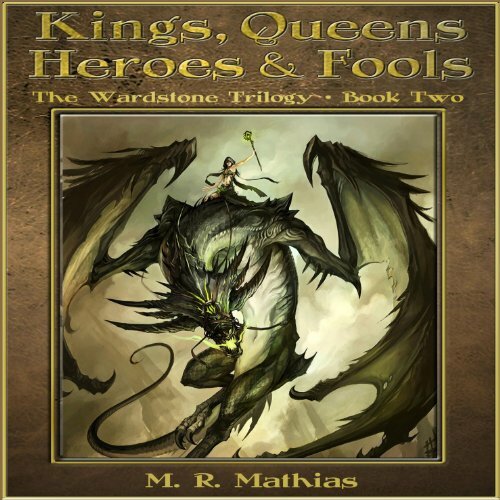 Demonic love, valiant battles, and foolhardy heroics await readers in this epic continuation of the Wardstone Trilogy that was written in a Texas prison cell, by author, M. R. Mathias. ©2011 Michael Robb Mathias Jr. (P)2013 Michael Robb Mathias Jr. I haven't finished reading it yet. Who would you have cast as narrator instead of Chris Dorman? Anyone whose intonation isn't for syllabic placement but for emoting. If it was poetry, I'm fairly sure Chris Dorman would do an acceptable job. I don't normally write reviews, but the narration was so bad, it could turn someone off to the story. I had been reading it on my kindle and had nothing going in audible so figured I'd enjoy the story in my car ride. I don't even remember anything after two hours of listening. I have since stopped listening and will just enjoy it on my kindle. Don't give up on the book due to the narration. the narrator had a very sing song monotone. sometimes sentences ran together. it was hard to differentiate characters. War, love, & friendship. The charters are likable and you find yourself wanting them to survive the battles. Also, to know how their story ends.